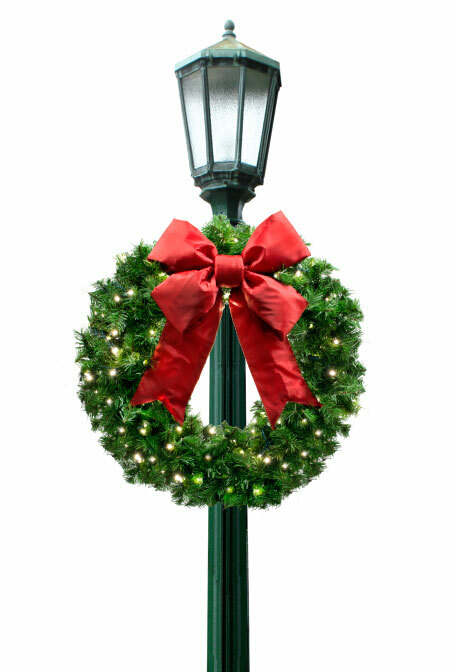 Nothing says Christmas is approaching, better than a pine wreath. 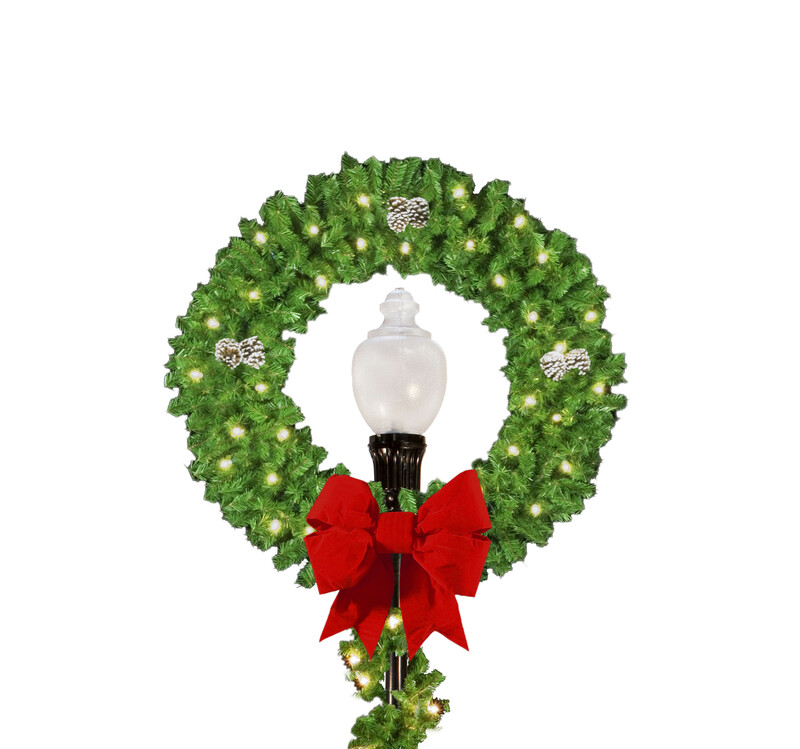 Whether you prefer something simple or elaborate, we have the right design for you. 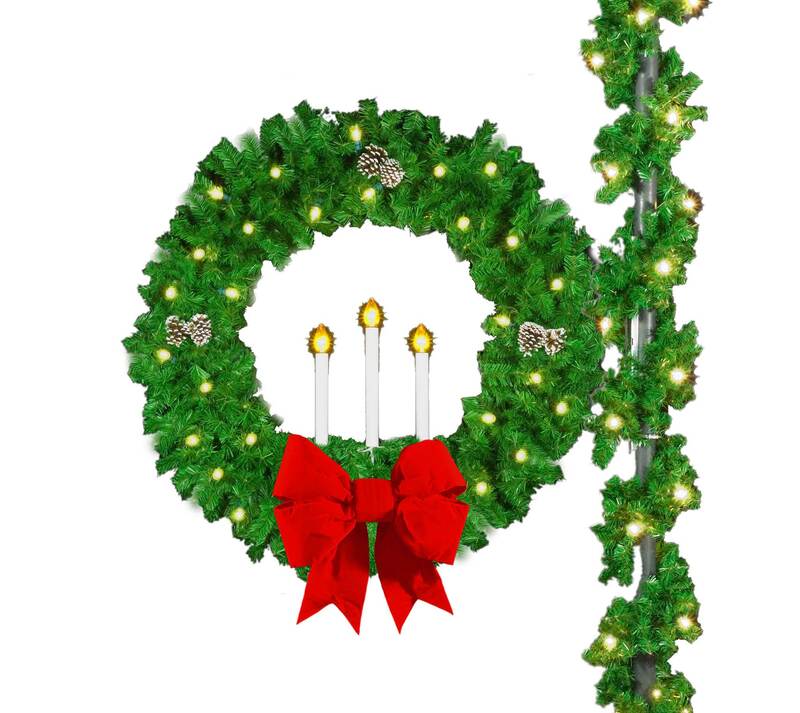 Our wreaths are available in a multitude of sizes and embellishment options. 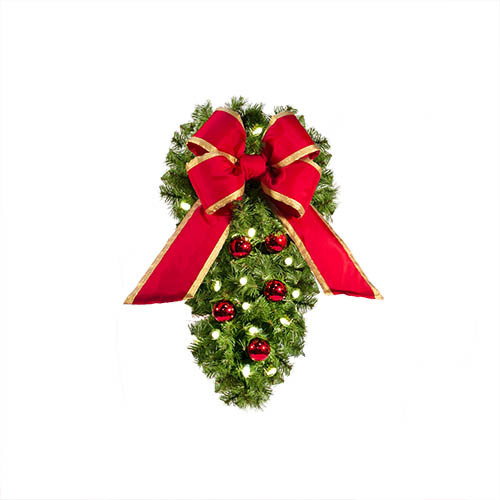 Add a bow for additional eye-catching effect; we offer velvet, nylon, mylar, velour and puff bows in a variety of colors. 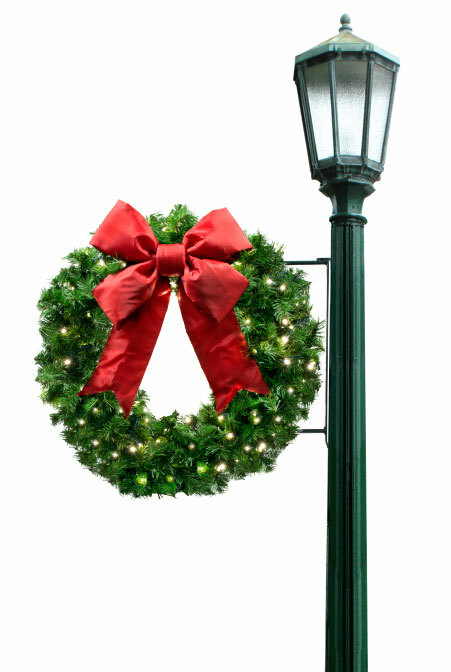 These light post decorations will ensure that the pole stands out and your street emanates the holiday spirit.